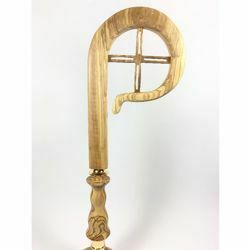 Selection of Crosiers, Pastoral Staffs and Ambrosian Ferulas, traditional objects of the Catholic liturgy for celebrations and processions, made and finished by hand by experienced italian handcrafstmen specialized in religious accessories. 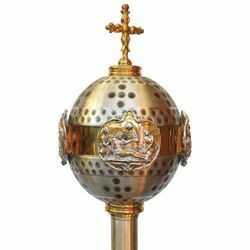 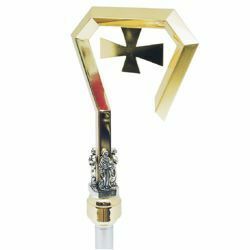 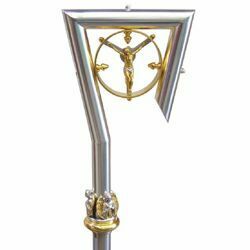 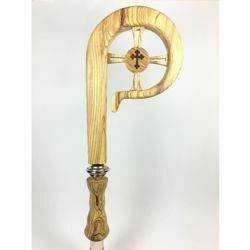 Crosiers made from olive tree’s wood and finished with visible wood grains, pastoral staffs made from gold and silver-plated brass, decorated with different designs and classic sacred symbols such as crosses, crucifixes, olive branches, religious scened, JHS. 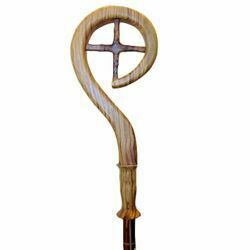 Small and large Crosiers, Pastoral Staff and Ambrosian Ferula, ideal for bishops, Abbots and vicars. 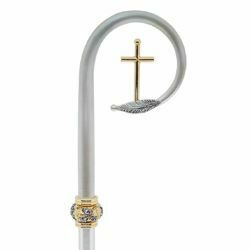 Excellet quality/price ratio and Quality 100% Made in Italy. 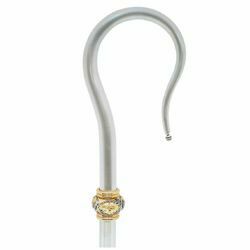 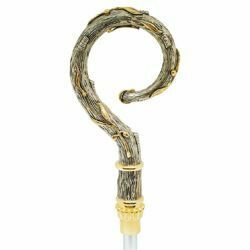 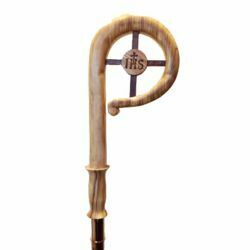 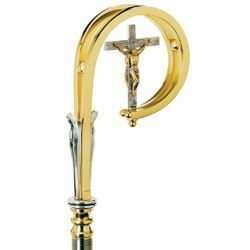 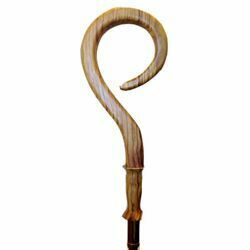 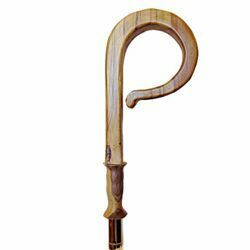 Crosier in Olive Wood handmade by an Italian workshop of great tradition. 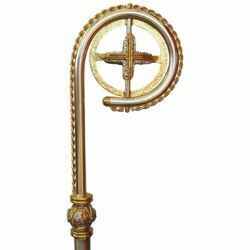 Wood staff with gold plated brass elements, divisible into three pieces of cm 46 (18,1 inch). 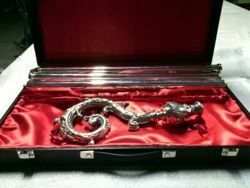 Total lenght cm 184 (72,4 inch).